November 9, 2018 • CATEGORIES: Parts • TAGS: Hardtop. 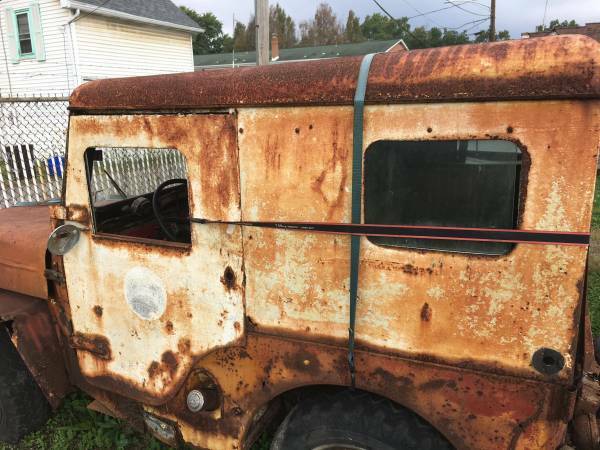 “Looking to find a good home for a half decent metal top and doors for CJ3B. I really don’t want to scrap the top, it’s completely saveable. Whomever buys this, make sure you get the door mounting hinges off of the body and windshield frame. You will never find another set by themselves again. Given the price, I suspect this sold. It’s no longer on Craigslist. I’ve updated the post.